What happened to Rothesay’s THI project? IT made national news in May when Rothesay’s Townscape Heritage Initiative (THI) was awarded £1.5m funding from the Heritage Lottery Fund, but nearly one year on there has been no considerable change to the seafront in Rothesay and, as demonstrated on Facebook’s HaveYourSay On Bute page in the months since then, some people have begun already to lose heart. Project coordinator Lorna Pearce, however, says the project is going well and there is a lot more to come. 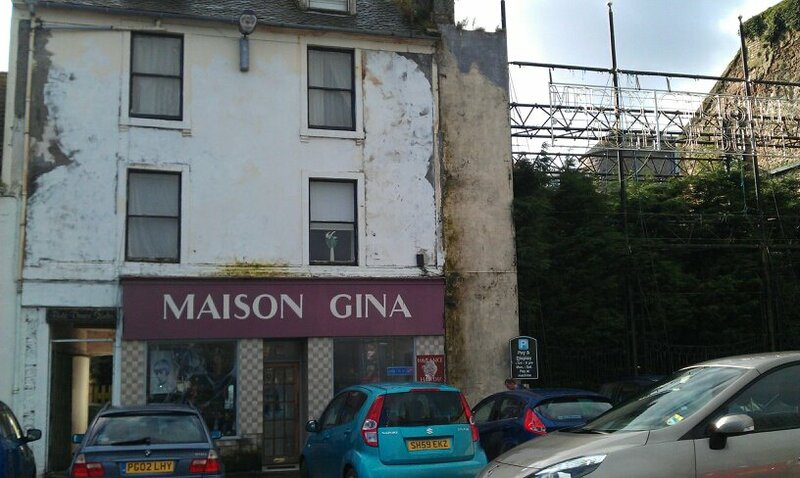 Part of Argyll & Bute Council’s CHORD – a project set up to regenerate the town centre and sea front areas of Campbeltown, Helensburgh, Oban, Rothesay and Dunoon – the Rothesay THI project will provide access to funding for business owners and tenants to improve the appearances of buildings in the town centre, particularly surrounding the town’s Guildford Square and East Princes Street. “The project runs until March 2016 but the bulk of the work needs to be completed by March 2015 because there will be a year of evaluation. The £1.5m is Heritage Lottery Funding and the Townscape Heritage Initiative (THI) is a Heritage Lottery Fund project,” Lorna said. 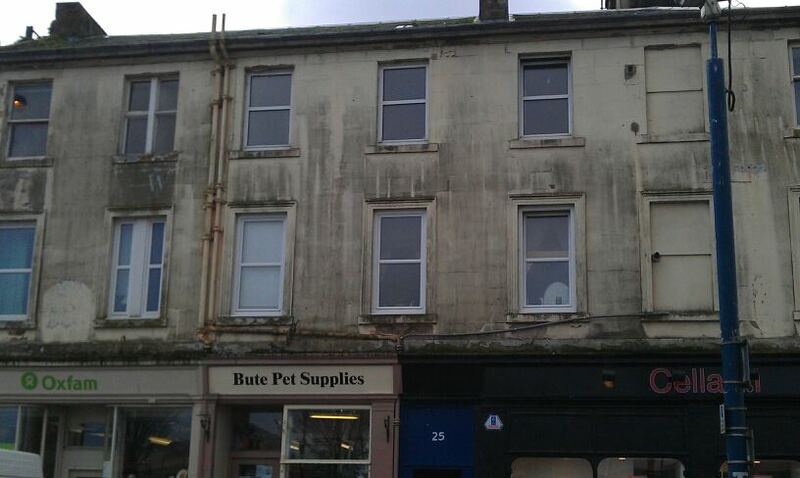 Although the award has been made to Rothesay’s THI, every penny still has to be approved before it is spent. “The £1.5m doesn’t sit in a bank account somewhere, Argyll & Bute Council acts like a bank pay roll – we have to justify how the money will be spent before it’s released. “The £1.5m is there, it’s ring-fenced, but we need to prove the work is up to the standard required for payout,” Lorna continued. 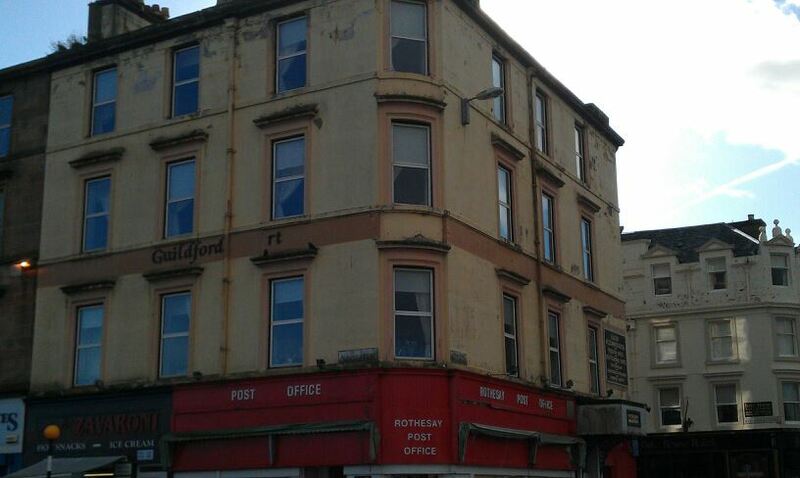 Rothesay’s THI has four funders – the Heritage Lottery Fund, LEADER, Historic Scotland and Argyll & Bute Council. The majority of the funding will go toward designated priority buildings which are in more urgent need of repair and restoration. Owners must contribute 20% of the overall cost of any work undertaken and many are already in the process of setting up an owner’s association that can take the project forward on their behalf. However, the economic downturn means that no matter how appealing the offer of 80% funding is, finding the other 20% is a big obstacle for many owners who say they simply don’t have the money. “I’m trying to work with those eligible for priority building repairs. It depends on the people in the buildings to form an owner’s association and contribute 20 per cent for the project,” Lorna said. Another potential stumbling block for the tenants is the revelation that they may be asked to pay a percentage of any profit made on the sale of a property back to the funders of the project if the price of the property has increased as a result of the THI. This would apply to properties sold within 10 years of the completion of the project. Lorna admitted the response from shop owners for the shop front repair grant had been disappointing, despite needing just a 5% contribution from an owner toward the overall cost. 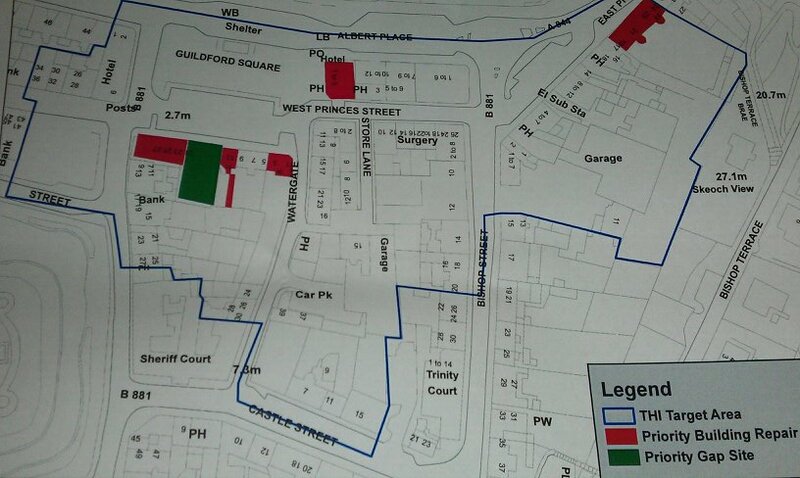 While eligibility for the grant is restricted to shops in Albert Place, Guildford Square and East Princes Street, if interest does not pick up it could be opened up to a wider range of shops to apply. It is hoped the Rothesay THI will play a major part in a new effort to turn around the economic decline of the island, and evidence from THI projects in other areas suggests a positive outlook. While there is no exact timescale for the completion of the larger scale priority building work, it is expected some of the smaller projects will be completed by the end of next summer.